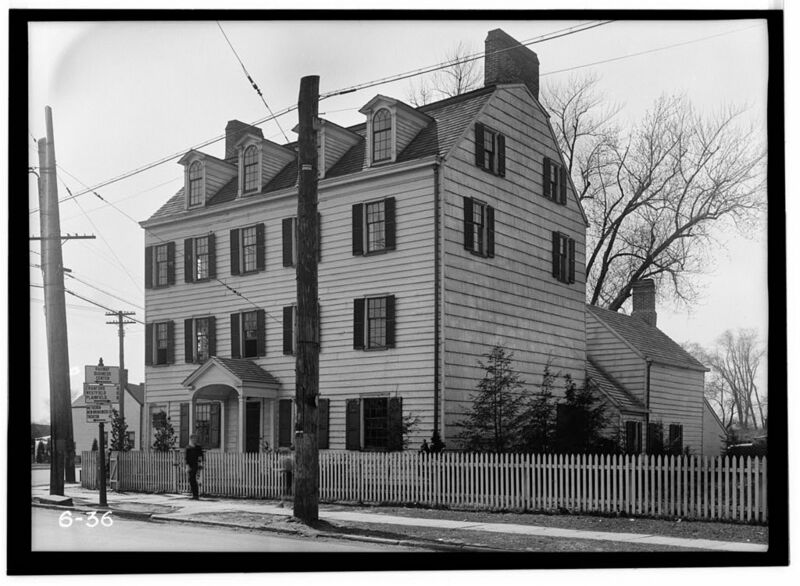 Case: MUS-MDT-2012-02-25 – The Merchants & Drovers Tavern Museum opened its doors to paranormal investigators. Bruce Tango was there to conduct a group EVP session and to share his experiences on the SyFy show, Ghost Hunters. The first is an unexplainable scream. 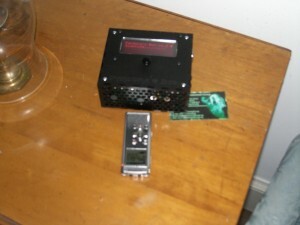 This EVP is a woman saying something. It is not 100% clear as to what she is saying. Listen and see what you hear. The below is two different entities. There was no one on the third floor at this time. This EVP has a unexplainable bang followed by an audible voice. After Bruce’s lecture, we were given sometime to explore the museum and conduct a brief investigation. My small group walked up tot eh third floor where Pandora’s box was to conduct our EVP and Dowsing Rod sessions. 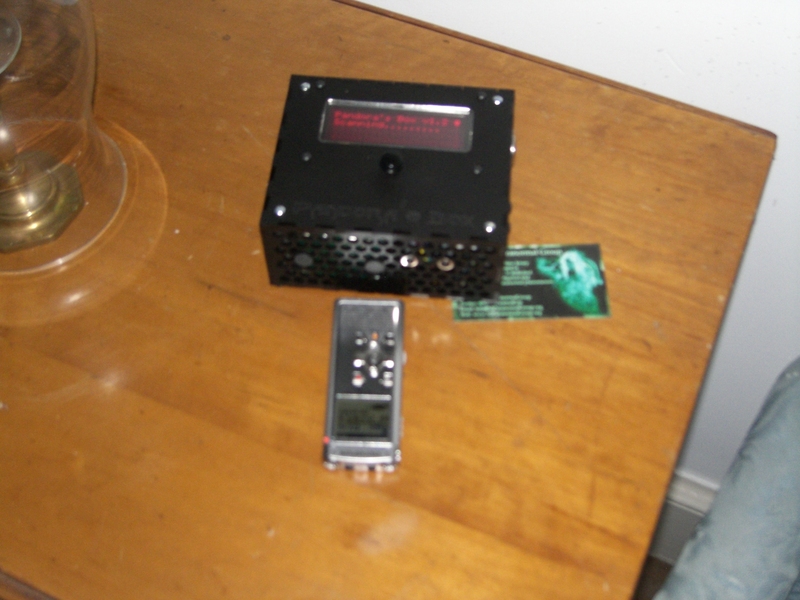 Just as we stepped off of the stairs onto the third floor, two of our digital recorders captured the same EVP. During the third floor investigation, Dina conducted a Dowsing Rod session where she asked questions and received answers through the movement of the rods. What we were not aware of at the time was that our digital recorders in the room were also picking up answers to her questions. One of the questions she asked was whether or not the person was the innkeeper. Dina also asked if the children liked to play ball. In attempt to determine how many children were present, Dina asked if three children were there. You can hear the response from a little girl. 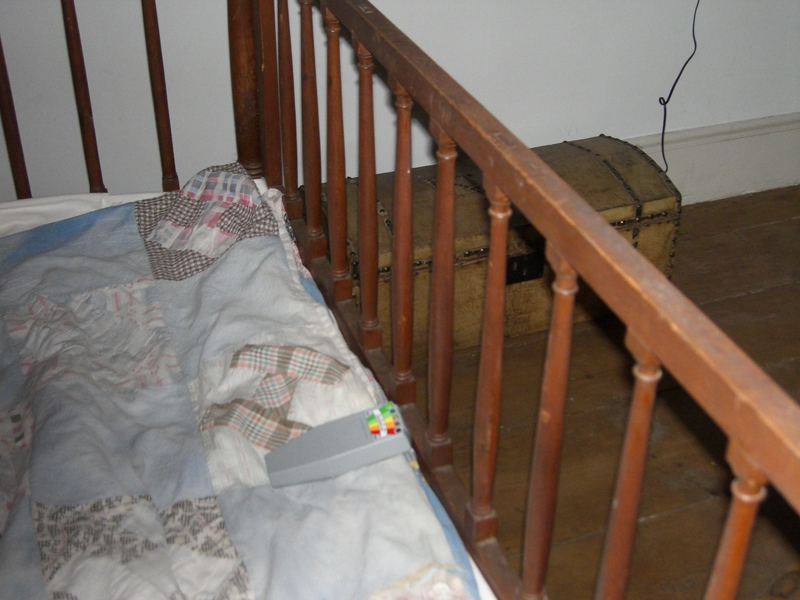 After the Dowsing Rod and EVP Session, Elaine and I conducted an EVP session with a K-II meter in the front room where a crib set up was on display. We were getting flickers of the second light so we asked if the entity would make it solid. This was our response. 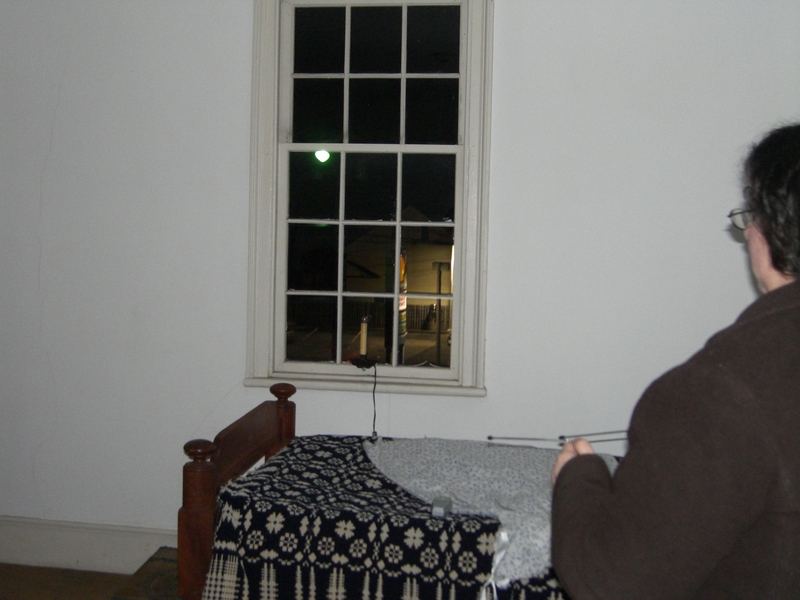 After this, we returned downstairs to conduct a group EVP lead by Bruce Tango. Our Digital Recorder upstairs captured this while we were downstairs. After the EVP Session, Bruce was talking about his son and how proud he was of him.Right after he was saying this, I captured this EVP. 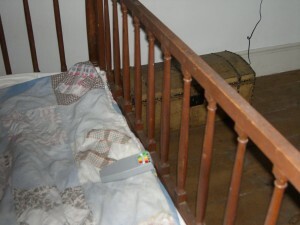 After the group EVP session, we went back to the third floor to retrieve Pandora’s Box and captured this EVP. I was asked, “Do you have any light?” and recorded this EVP. As the team was wrapping up on the Third Floor for the night, this was the last EVP I captured.